Skinny Riders’ Paradise - Nov. 17, 2015, 4:54 p.m.
Chromag Stylus - May 30, 2007, 5:32 a.m.
That looks so clean, nice ride. 1 Day tickets for Whistler - Oct. 8, 2017, 2:07 p.m.
Got a cousin coming into town this winter, likely going to get just one day at Whistler, can't even see one day ticket prices on their website anymore. Anyone know best place to get tickets? Do 7-11 still do cheap day tickets? 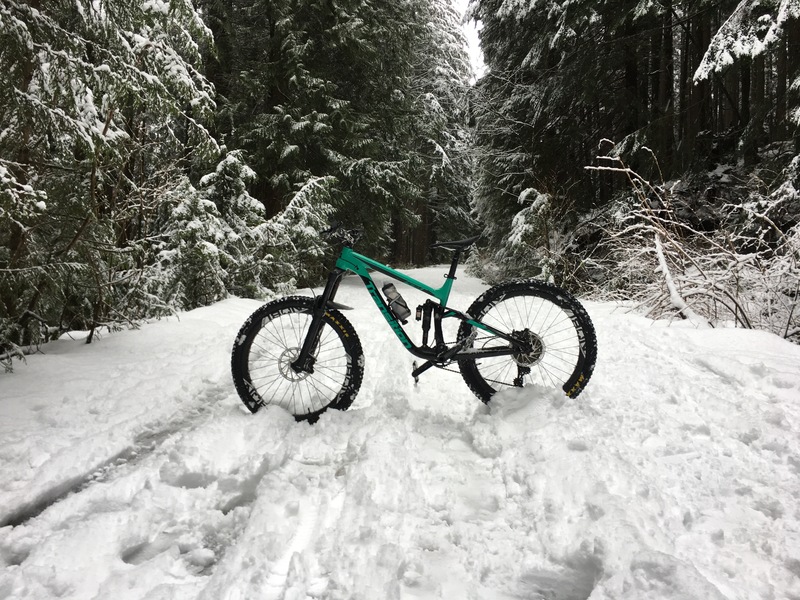 Re: NSMB - 2017 - Full Suspension Bike Thread - March 7, 2017, 5:37 p.m.
Re: NSMB 4.0 - March 7, 2017, 5:31 p.m.
Fromme 2016 Conditions - Dec. 22, 2016, 7:07 p.m.
anyone ridden anything in the last day or two? whats it like? Devinci Troy (new model) - Sept. 6, 2016, 7:24 p.m.
Its a great bike, did everything I asked of it, pedalled great, active suspension, just swapped it for a transition patrol as i'm down to one bike and wanted something a little bigger, hence I will soon have a 2014 carbon troy, medium with new wheels off the transition, once I get the pike back from being serviced. Trailer hitch Bike tray rack- Advice - June 20, 2016, 2:36 p.m. I picked up a 2 bike 1up recently, shipped to the border, with the exchange rate, probably cost about the same as buying a kuat here, crossed over on a weekday before work, they guy didn't even ask what I was doing in the states, guess they don't get people doing a lot of shopping at that time, just said you're good and waved me on so no taxes :) best thing is it comes on and off in seconds, folds up and fits into the back of my golf, so less risk of a ticket when i'm not using it. 3D Printing? - May 21, 2016, 11:09 a.m. Anyone here gotten into this? I ordered a printer and scanner this week. After a little practice, gonna try scanning broken kids toy parts to see how well I can repair, and avoid throwing into the waste stream. 2016 Devinci Troy - March 8, 2016, 6:27 p.m. I have the 2014, its great, 2016 is a bit longer and stiffer I think. Bike Maintenance & Record keeping Apps - Oct. 11, 2015, 8:45 p.m.
You should all use Bike Setup because its mine, I had plans to add a bunch of the other stuff you mention, but unfortunately my wife who is the programming brains behind it, found a new job and doesn't have the time to take it past the original idea. Anyone have a Alu Norco Range? - Sept. 27, 2015, 7:25 a.m. I can insert the stock post 213 mm on my large Range and that is approx. 40mm past the bottom of the top tube. I looked down the tube and noticed that there were 2 small holes drilled that center around the top tube and my post does go past them. These holes may have a burr on them that is preventing your dropper from going down any further. Thanks, if you're getting that then looks like 17cm seems about right for a small, we'll step down to a 5" reverb which provides a bit lower seat height at minimum.